Diwon is a global artist. He’s known to New York audiences for his mix of Middle Eastern samples and Baltimore club beats. He is renowned worldwide for his remixes of pop acts like Lana Del Rey. On the inside, Diwon has the heart of a true-school hip-hop head. “Try Stopping” which hits streets April 30th, is the first single to be released from his forthcoming album, “New Game.” which will be released this August 6th. 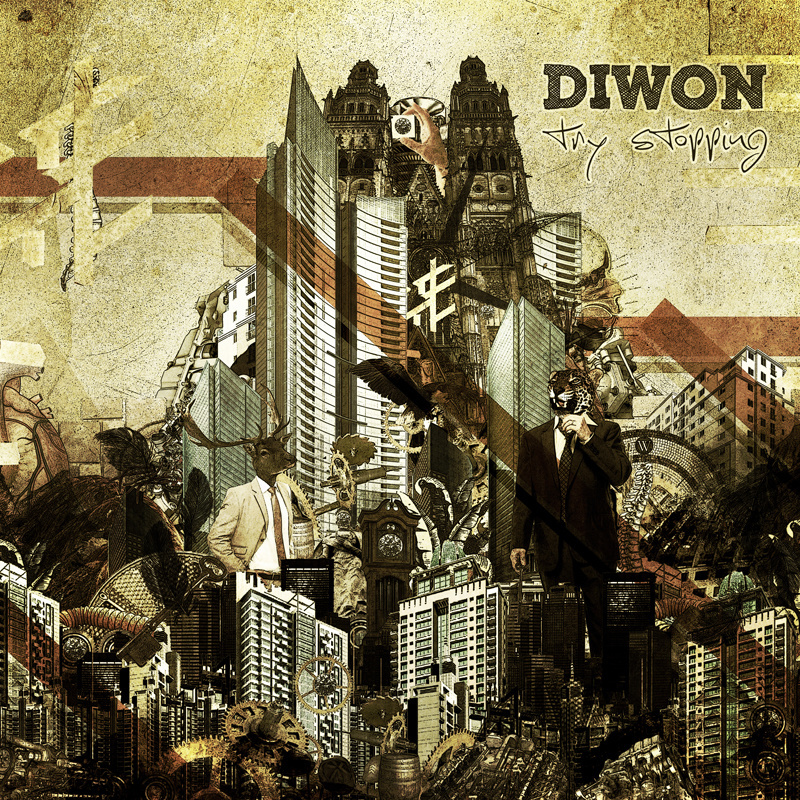 After producing countless albums for others and remixes of diverse artists from Dizzee Rascal and Miike Snow to Snoop Dogg and Stevie Wonder, Diwon is set to release his first ever solo album.The beats are the classic Diwon mix of cerebral and party-rocking, with hard-hitting hip hop drums melting into psychedelic strings, synths and guitar. It’s the producer as auteur. Like Kanye or Godard, every track takes you through the emotional space of the artist. On the single “Try Stopping,” Nissim kicks a mean double time flow over trippy synths sounding like a Roc-A-Fella joint on acid, and Open Mike Eagle’s smooth nasal tone on the track is a statement in itself. The rapping on “Try Stopping” is intelligent but accessible, lyrical without pretension. People talk about hip-hop going “post-regional,” but Diwon’s beats are post-national. This is the music you wish you heard on airplanes. “Try Stopping” sets the stage for Diwon’s future LP, “New Game,” which drops this fall. A sonic journey through the artistic process, influenced by Outkast and Beck, New Game finds Diwon working with artists from the hip hop underground like Tim Fite and MC Paul Barman to indie sirens like Liza. The elegant structure of New Game mixes verse from cerebral underground rappers with polysyllabic words, abstract vibes from pop and R&B songwriters, and wordless interludes that sublimate the themes of songs. “The idea is to make songs that deal with human emotion as an artist,” Diwon says, “struggling with the process of creation…questioning yourself, questioning your art one minute, and feeling on top of the world the next. I want the music to take you up and down.” With collaborations from Open Mike Eagle, MC Paul Barman, Tim Fite, Nissim, Y-Love, and Liza, New Game is the soundtrack for the new Orient Express, or a transcontinental voyage.